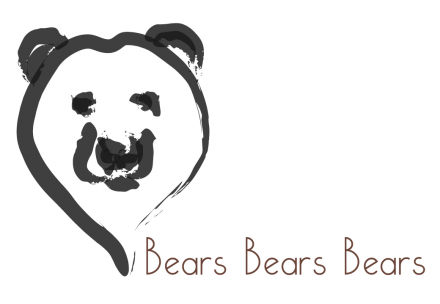 Following the rescue of the Ussuri Brown Bears, we will be visiting Yorkshire Great Park on 20th September 2018 to meet Riku, Kai, Hanako and Amu. In July 2018, these four endangered brown bears were brought from Japan to a new life in Yorkshire Great Park following a precisely planned 5,000-mile transport operation. Riku, Kai, Hanako and Amu were living in outdated cages at the Ainu Cultural Museum, on the island of Hokkaido. It was clear that there was no capacity in Japanese zoos to take the bears. The team at Yorkshire Great Park put together a detailed operation over two months to ensure a safe 5,400-mile journey to the UK. YWP animal manager Debbie Porter said: “The loading went like clockwork.” Ms Porter said: “The 27-year-old female Hanako was very playful when we were loading her – at one point she tried to grab a hosepipe, she was very curious about what was going on. The bears were taken to the airport in an air-conditioned lorry provided by DHL Japan. They were flown to Tokyo, then to London, before they were driven toYorkshire Great Parkwhere and released into their new home. Ms Porter said: “I actually took a photo of the empty cages because you think for 27 years they have been in that tiny caging. “It was a very emotional day. ” The team said that Hanako was the first to leave her crate and the two younger males – Kai and Riku – were next. Sadly the eldest of the four endangered bears has had to be put to sleep. Vets examining Amu, the eldest animal, found chronic degenerative diseases which were “worse than first thought”. Yorkshire Wildlife Park, which took the bears in earlier this month, said it was a “deeply difficult decision”. Ussuri brown bears‘ omnivore diet consists of plants, seeds, nuts, fruits, invertebrates, eggs, fish and small or larger mammals. The bears are on the IUCN Red List of Threatened Species due to vulnerability to habitat loss, illegal hunting and capture, and being poached for body parts and skins. The bears are extinct across parts of Asia and there are thought to be 10,000 left in Japan. In order to help kit out the brown bears’ reserve, Yorkshire Wildlife Park are asking companies or tradespeople to donate the following enrichment and platform materials. We’ll keep you posted with photos and news of our visit.